If you are looking for where to buy your incense sticks in London, we are thrilled to announce that Present, will be the prime stockist of Ume incense and handmade stoneware holders in East London. 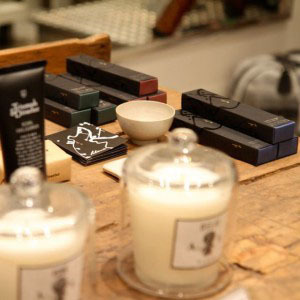 If you haven’t been already to this beautiful store, we highly recommend a visit. Whether your agenda is to find a unique gift for a friend or to add design books, fashion or a quirky accessory to your collection, Present is a shop to get your pulse racing. This Globally renowned independent retailer, of course, also stocks a niche selection of brands to fulfil for those who have a penchant for quality, established labels. Pop in to check out our incense sticks next time you are in East London.